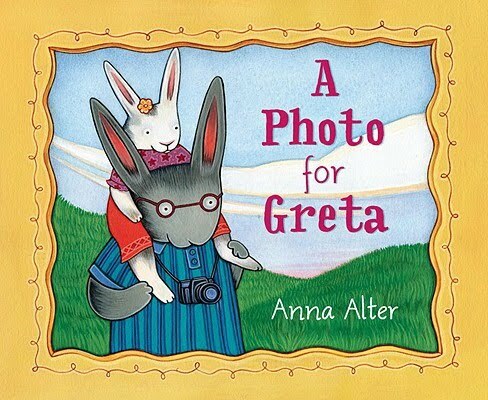 This weekend I was delighted to receive the first copies of A Photo for Greta, my new book due out in May. I completed the illustrations last summer, though it feels like a million years ago since so much has happened between now and then. It was great to hold the book in my hands at last. 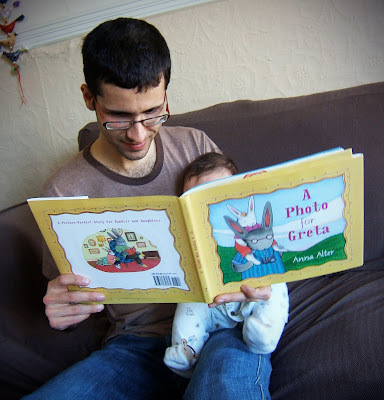 We tried reading it to baby, but as the pages are not chewable she was a little less than interested. Congrats, Anna. It looks great -- and so cute to see Tilda peeking out from behind the book. I also really enjoyed re-reading your DONE post -- and I agree about the desire to simplify life. Sometimes -- when I'm really concentrating, thinking about the book all the time the way you describe -- it's like having a magic shield:nothing else can touch me. AW... I love just seeing the legs popping out.